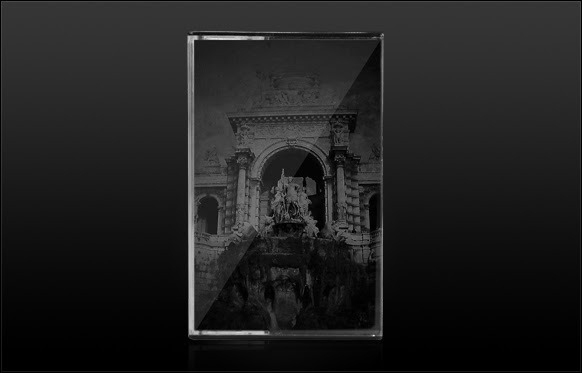 Belaten release Dmitry Distant, Grand Mal x and Distel tapes – Chain D.L.K. Another year has gone, and no apparent apocalypse seem to have occurred. 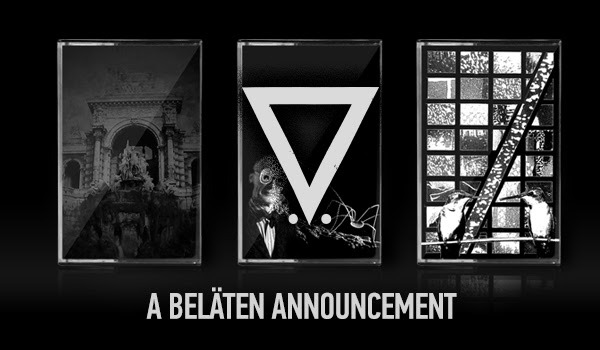 Beläten will continue our attempts to transform the world, and we start the new year with a trio of cassettes from Dmitry Distant, Grand Mal x and Distel, all sharing a certain aura of mystery and hypnotizing danceability. All three tapes have an estimated street date of January 31st 2014. From Moscow comes Dmitry Distant with four tracks of mesmerizing analog worship electro. It’s minimal and it’s dark, but underneath the cold melancholy bubbles unbridled passion: passion for the rhythm, passion for the deep bass resonances, passion for the hooks that will continue to ring in your ears for days on end. 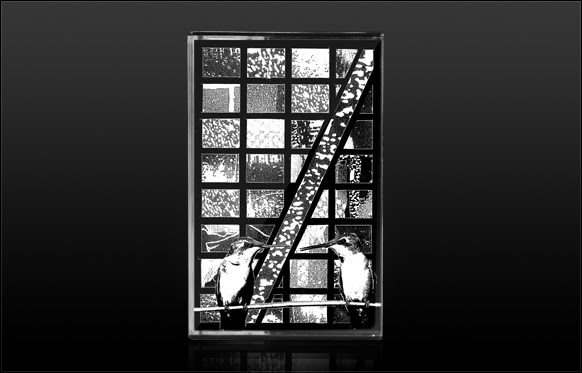 Le Dérivé De L’Amour is nicely rounded off by two remixes of the track System Control by Beläten favourite Ekman and The Exaltics respectively. You’d be forgiven for thinking of Coil when you listen to Grand Mal x. It’s not the sound and style in itself—GMx offers a kind of motorik driven take on minimal electronics, coupled with influences from the darker tangents of electro. The similarities are on a far more esoteric level, investigating the same currents of the physical and the psychical aspects of life. There is an ineffable undercurrent of magick and ritual to these songs, even a slightly sinister presence in them. They conjure up images of demon-possessed youth writhing and contorting on a dirty bunker dance floor. It’s sweaty, physical, and sexual music, but it never loses touch with the sublime qualities that turn simply »good music« into a truly revelatory experience. Grand Mal x are here to go. Deeper. 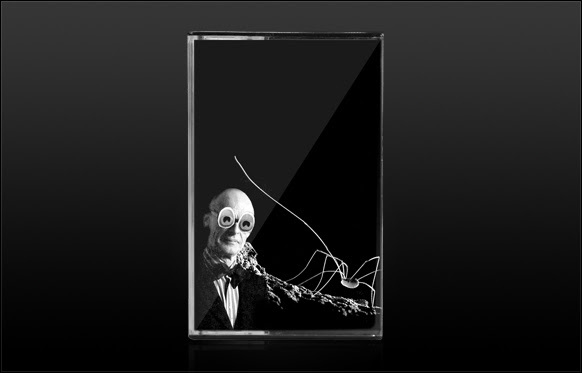 C24After last years’ magnificent Puur LP on Enfant Terrible, Distel return with a cassette featuring five interpretations of Mekanik Kommando and one original composition, all made for the first of four Ultra2012 events held across four Dutch cities in 2012. Performers were asked to in some way pay homage to the original Ultra movement of the late 70’s and early 80’s, and Distel choose to do so by covering five songs from Mekanik Kommando’s debut LP »It Would Be Quiet In The Woods If Only A Few Birds Sing« from 1981. The closing original Onde was used as a sort of theme song for their performance at the event in Nijmegen. In the hands of Distel these songs are transformed from jittery white-boy punk-funk into menacing, pulsating krankheitspopmusik Robotic voices call from deep beneath the layers of thundering bass. Euphoric rave arpeggios pierce through the din of squealing analog synthesizers and urges the listener to dance, or at the very least move in unison. Some nice words on Sutekh Hexen and Johan G. Winther. Too much new stuff in the mailorder to mention it all, but among the highlights are Veil of Light’s vinyl debut, an excellent new album from Night Sins, HNW terror from the Rita and Dead Body Collection, and some delicious Galakthorrö worship form Tanz Ohne Musik.